Justifying our reputation in this market, we are betrothed in providing for our patrons Roller Hearth Furnaces. - Roller hearth furances are designed to make limitless cycles of production and the length is based on the customer’s application needs. 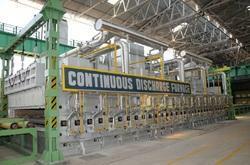 WE ARE THE AMNUFACTURER OF ROLLER HEARTH FURNACES. 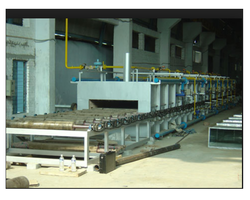 - A typical batch heat-treating furnace. Provides stable atmospheric conditions while work pieces are transferred inside of the furnace. Best-selling heat-treating furnace due to its convenience and proven quality over time.